WAILUKU — Probation was ended early for a second key prosecution witness, based on fear for his safety after an acquittal in a murder trial. At the request of the prosecution, Christopher Fanelli, 56, of Haiku had his probation immediately terminated Thursday in a stolen-vehicle case. Fanelli was a witness in the murder trial of Jesse Hueu, who was charged with killing 56-year-old Derrick Kualaau. Kualaau was found lying in a pool of blood on his porch at his Maliko Gulch shack the evening of Dec. 11, 2014. In a verdict returned Nov. 30, a 2nd Circuit Court jury found Hueu, 48, not guilty of second-degree murder. “Because there was an acquittal for that case, the state believes that there’s some real danger to Mr. Fanelli,” Deputy Prosecutor Emlyn Higa said, in asking that Fanelli be discharged from probation. The defense joined in the request, which was granted by 2nd Circuit Judge Richard Bissen. During Hueu’s trial, Fanelli testified that Hueu was looking for his girlfriend when he showed up at Kualaau’s residence the morning before Kualaau’s body was found. Kualaau told Hueu he couldn’t go into the shack, where Hueu’s girlfriend was hiding, Fanelli said. 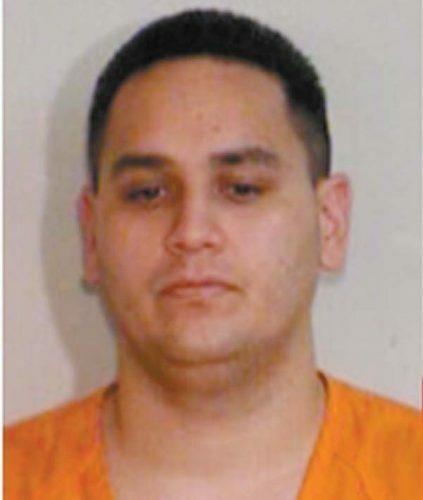 Another witness, Alex Kealoha, testified that Hueu confessed to killing Kualaau during conversations while Kealoha and Hueu were incarcerated at the Maui Community Correctional Center in December 2014. In a declaration filed to support ending Fanelli’s probation, Higa said that on Dec. 10 and 11, 2014, Hueu twice threatened to kill Fanelli for helping hide Hueu’s girlfriend. On Dec. 26, 2014, Hueu threatened to kill Fanelli because he was expected to be a witness against Hueu in his murder trial, Higa said. He said Fanelli was in custody at the Maui Community Correctional Center on Jan. 8 when he was assaulted by another inmate, Kaipo Mahuna, with Mahuna telling Fanelli not to testify against Hueu. Mahuna is awaiting sentencing after pleading no contest to intimidating a witness and third-degree assault of Fanelli. “For defendant Fanelli’s safety, the state is moving to have his probation terminated immediately, so that he can be free to protect himself from harm,” Higa said. Fanelli was placed on four years’ probation in January after pleading no contest to unauthorized control of a propelled vehicle, according to court records. The offense occurred Sept. 9, 2016, and Fanelli was charged the following year, Higa said. Higa said Fanelli’s probation sentence and the request to end probation early were not part of a deal with the prosecution to testify in the murder case. Fanelli had no criminal cases pending on Dec. 14, 2014, when he made a statement to police in the murder investigation, Higa said. He said Fanelli also had no cases pending on Jan. 28, 2015, when he testified at a preliminary hearing in the murder case. Kealoha, 48, of Haiku had four pending criminal cases when he testified in the murder trial. On Tuesday, he was sentenced to probation for burglary and theft in one case, then had his probation immediately terminated, with Higa saying Kealoha’s life was in danger after Hueu’s acquittal. The other three cases against Kealoha were dismissed.